renovation was underway for the sanctuary. The renovation was finished and dedicated on October 4, 1987. In 1991, the church purchased the property behind the church for future expansion. Also in 1991, the church celebrated its Centennial Celebration with a total membership of 680. In 2004, the first major addition since 1958 was completed. The new two-story addition included additional restrooms, offices and choir room. However, the most important component was the addition of an elevator. As technology continued to become an ever-useful tool, DeVotie continued to adjust with the times. A multi-media projection system was installed in the sanctuary in 2005. A church website was introduced and social media became an important means of communication in addition to the continuation of the weekly bulletin. In the summer of , DeVotie held it’ s first community-wide block party. This was the largest outreach event in the history of the church, reaching nearly 1,000 community members. The event has continued annually. Presently, five hundred book bags full of supplies are given to children in the DeVotie community each summer. In 2008, DeVotie began a partnership with Belief in Motion, an organization ministering to the people of Romania. The church sent a team of five on the first trip. In the summer of 2016, the church will send it’s fourth group to Romania to work alongside the missionaries and minister to those in need.In the summer of 2014, major renovations began to the Youth Department under the direction of Youth Pastor Daniel Foster. Renovations included adding a stage to the space and updating lighting and sound elements. The renovations were complete in October and the first service was held on October 22 in the newly designed space. 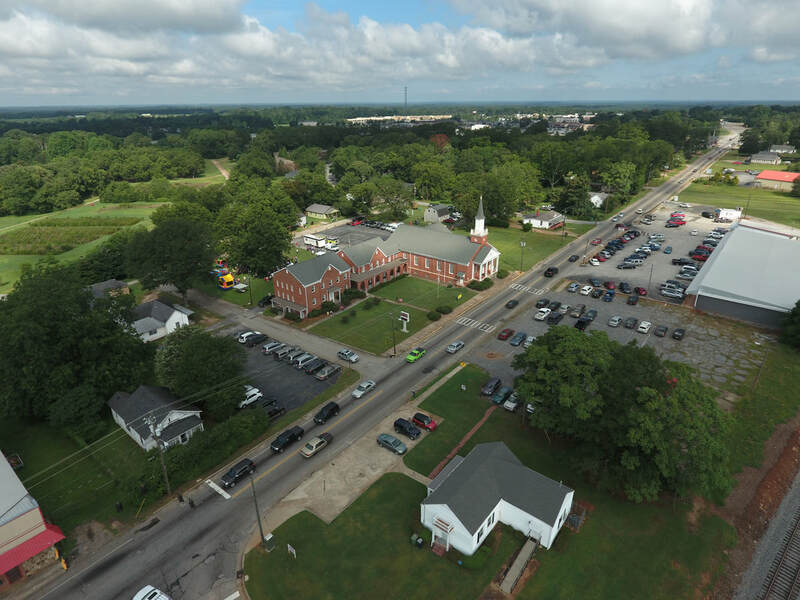 As we celebrate 125 years, DeVotie Baptist Church continues to grow and serve God by “reaching up” to Him through worship, “reaching out” to a world in need and “reaching in” to encourage and love one another. We eagerly anticipate future milestones including the opening of the time capsule in 2041.